I’m in a period of elevation and have been for the last day or two. We’re on our way back from Florida — a twelve hour drive, and I’m having a terrible time trying to keep my feet firmly planted on the real live ground. I’m in the middle of an unexpected period of elevation and have been so for the last day or two. Looking back over the duration of our time away, I think I let myself get too tired (and perhaps mentally bored). Last night was our final night at the hotel, and the children were having trouble calming down at bedtime. My husband and I told Chris, our oldest, that he had to calm down — which would invariably calm everyone. His response struck me: “That’s not fair. What if it isn’t my fault?” I could easily concede that his hyperactivity wasn’t entirely — if at all — his fault. Whatever the cause, he still has the responsibility, and ability, to control his thoughts and actions. The same is true of me. One of the tools I have used to calm myself is complex coloring pages. The activity of coloring — especially without concern for any clear, preconceived picture or design -- is for some reason quite numbing. It doesn’t require thought per se, but it is not so mindless that you can carry on with your original dissociative pattern of thought while doing it. It’s perfect, really. It doesn’t seem so at first — I think this happens to me every time I pick up a page — but soon, it triggers a quiet, pleasant even, focus that crowds out every other thought. Etsy is a good place to get a lot of things. 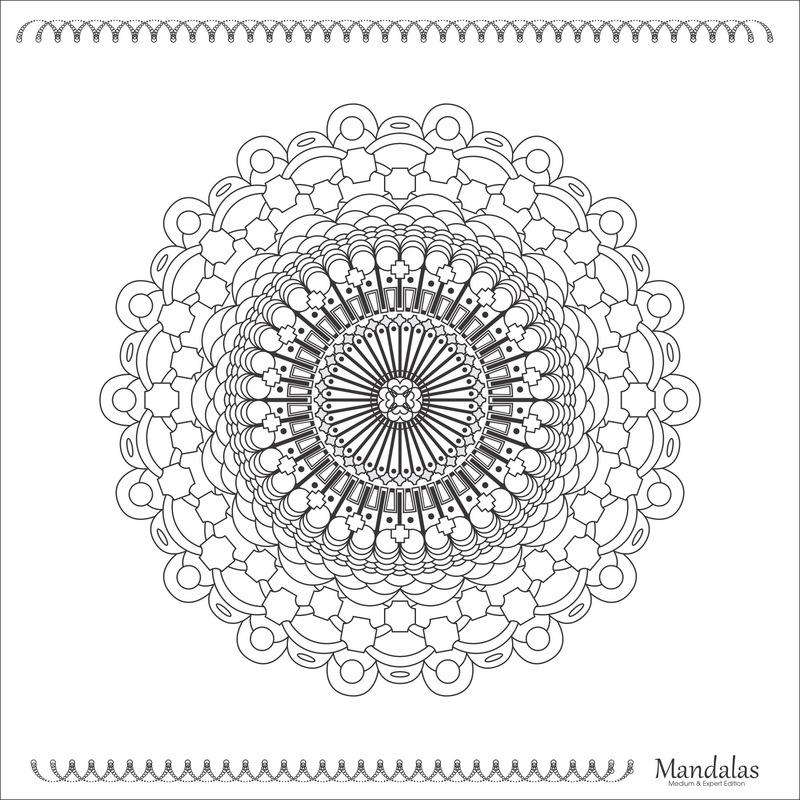 I have seen these adult coloring pages in mainly two styles — mandalas, reminiscent of mhendi tattoos, and geometric shapes. Adult coloring books are sold in craft and catch-all stores, like Tar-Mart. I’ve found Etsy to be a good place to get coloring pages. You can usually buy one or a few at a time for instant download. Since you can print it yourself however often you want, you can color the same picture repeatedly. No need to spend the money or shelf space on a whole book. One of my favorite shops is Luponia. Etsy is a good place to get a lot of things. Need a hat? Check Etsy. Ripped your hair net? Get a new one on Etsy. Looking for unusual art or jewelry or measuring spoons that they don’t sell at you-know-where? Support artisans and small businesses. Etsy.com. Check it out. Another outlet for me is writing, as you may have noticed. Ah, feeling more settled already. On another note. I am aware that the phrase adult coloring book sounds like something other than what I mean, but that’s what they’re called. I do recommend caution if you’re planning on Googling this topic. Even searching within Etsy or Pinterest, you might get some weird things.